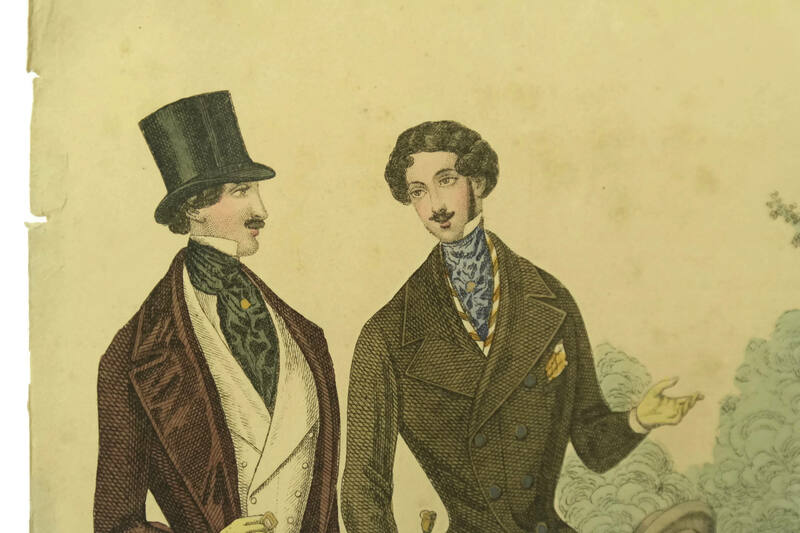 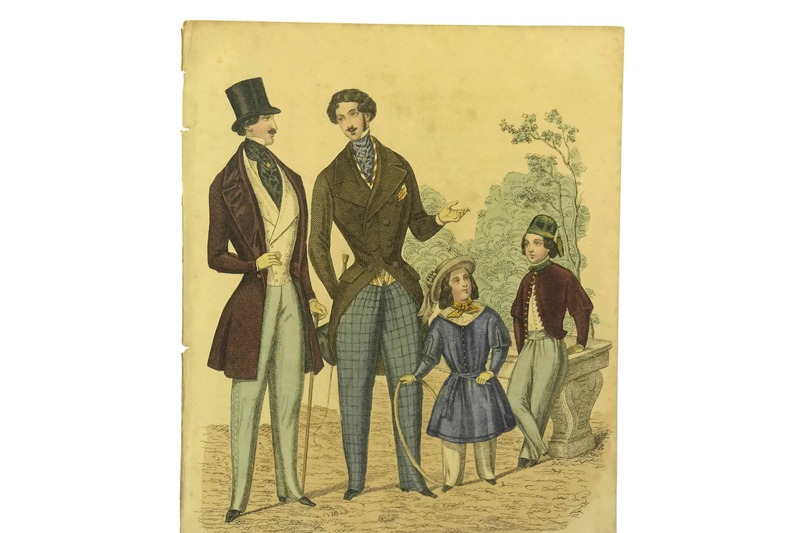 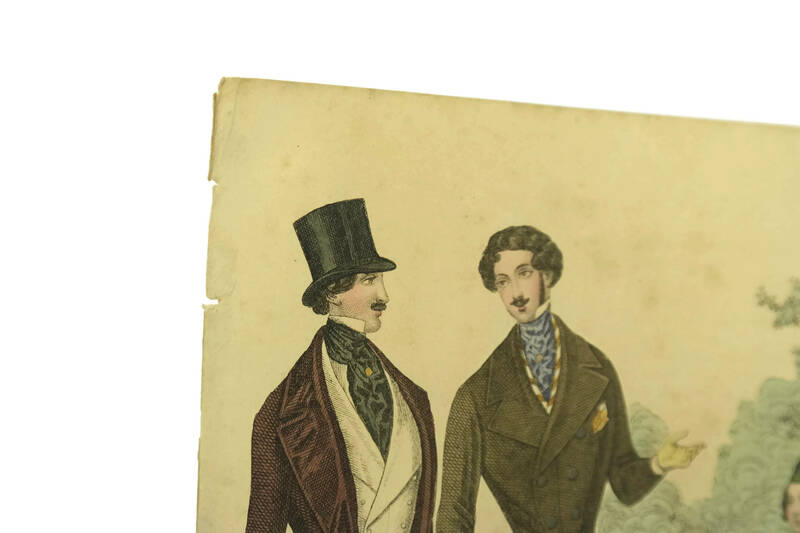 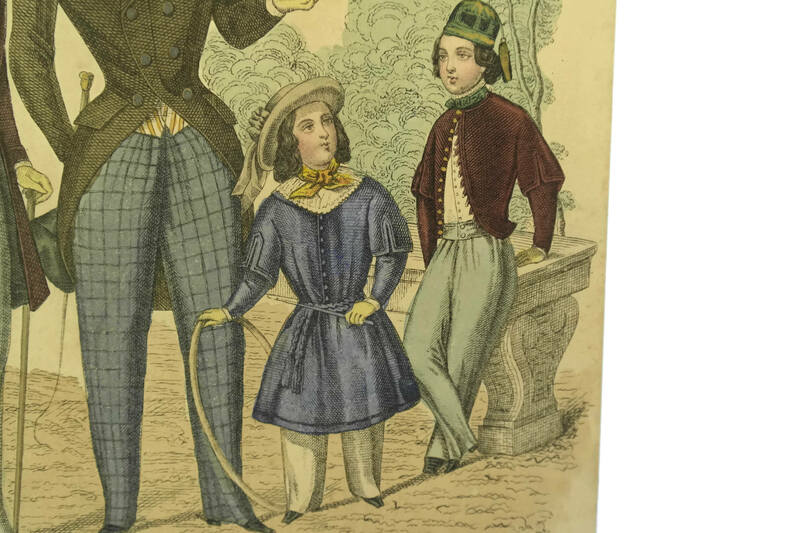 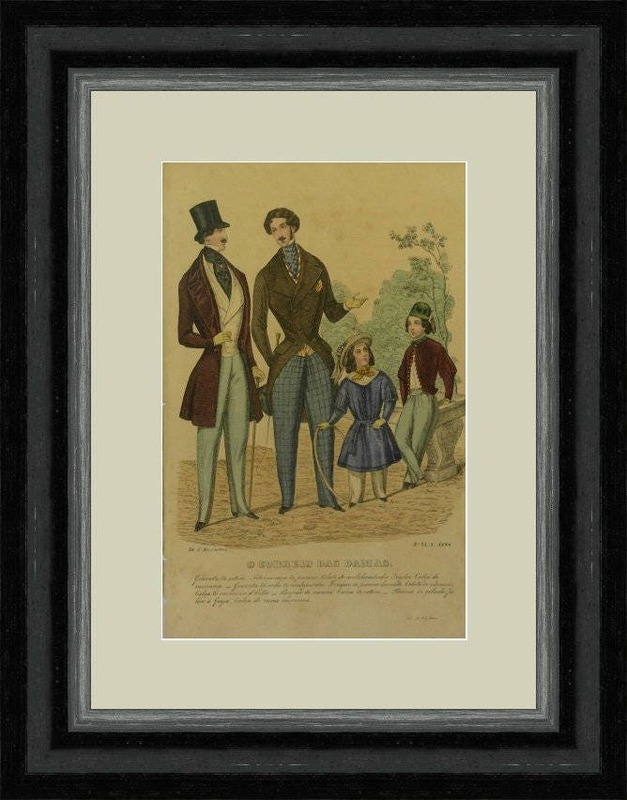 A antique Portuguese mens fashion illustration engraving dating to the year 1845. 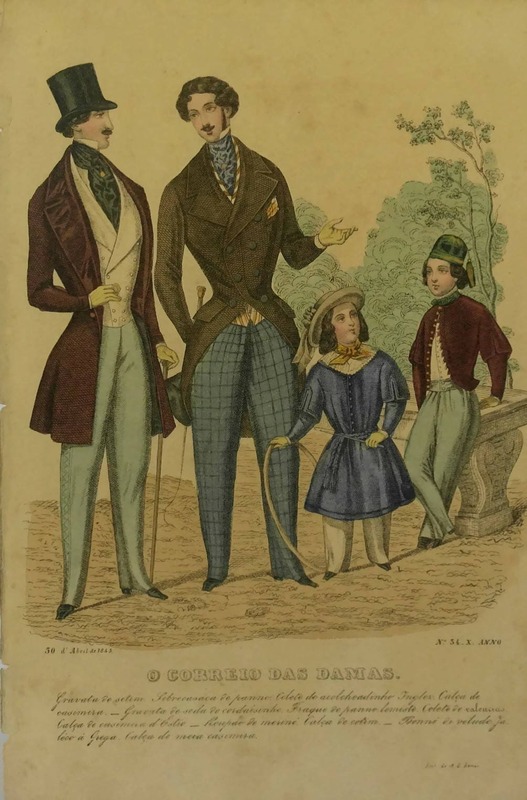 It features the portraits of fashionable young men and children. 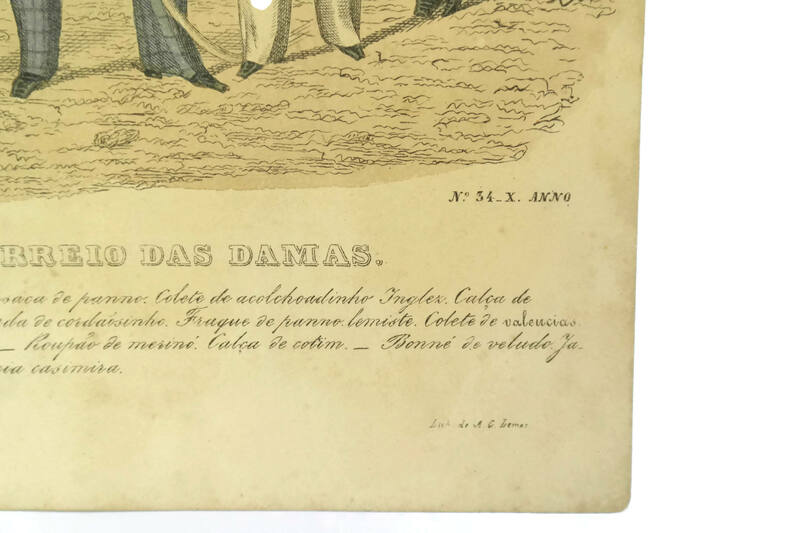 The hand colored print has been numbered "34" and dated 30 April 1845. 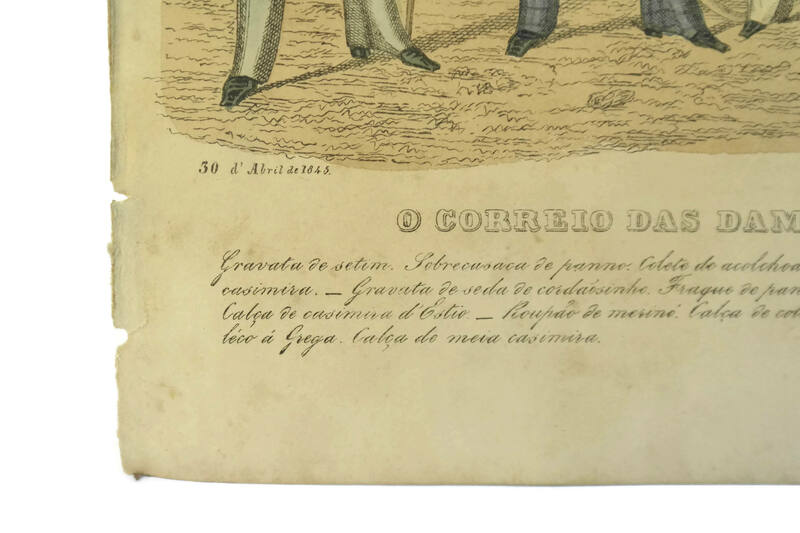 It was printed in the Portuguese magazine O Correio das Damas and features a brief description of the men's clothes printed across the bottom. 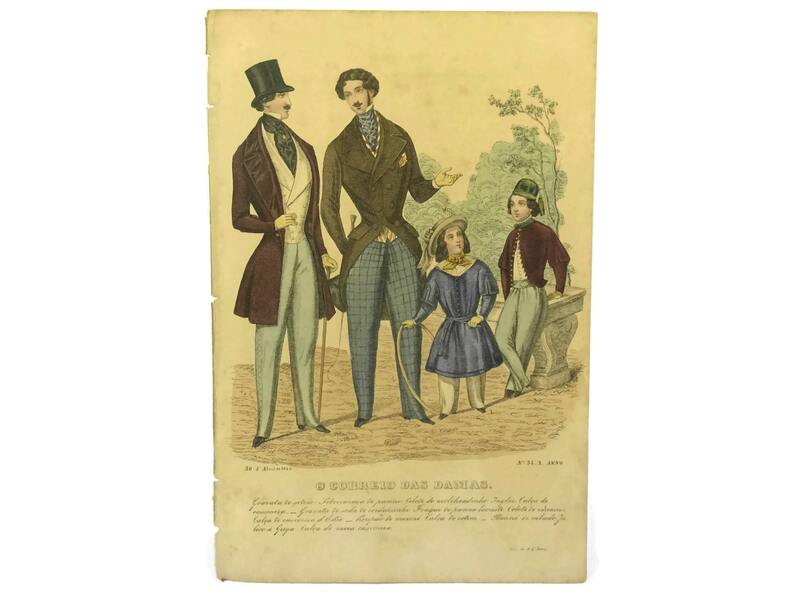 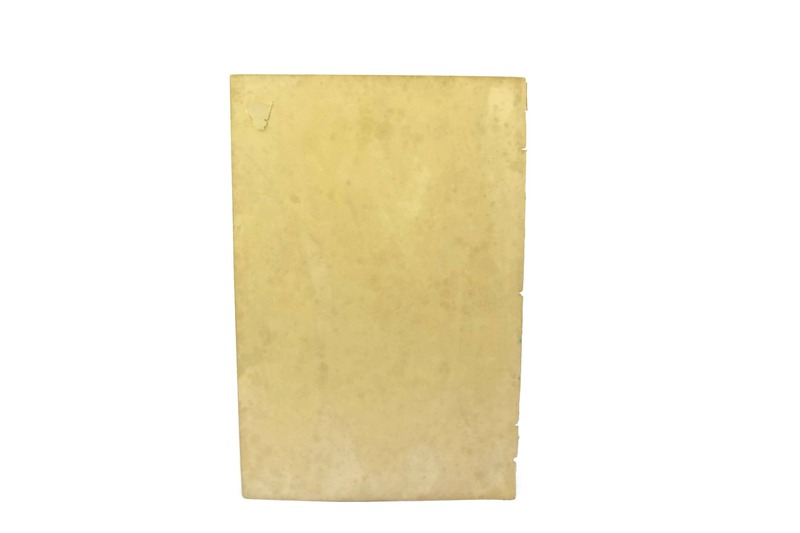 The antique fashion engraving is in good condition with age-appropriate wear including light age marks to the paper.